Most people lead very active lives every day. Our busy lifestyles often lead to poor food choices that make daily stress and tiredness worse. Daily lifestyle choices have a serious effect on our gut health. Your gut is the key part of your digestive system, which includes the esophagus, stomach, pancreas, liver, gallbladder and intestines. 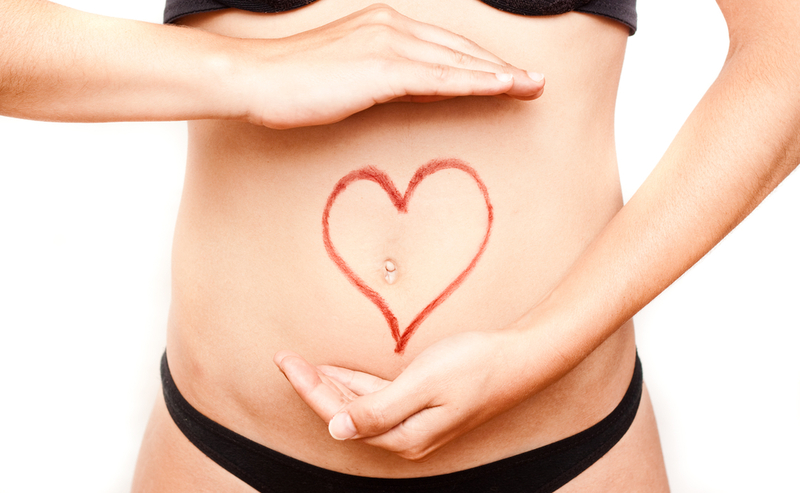 The health of your gut is vital because it controls many of your body systems. More than half of your body’s good bacteria are stored in your gut. Sickness or other chronic health issues are usually signs that your gut health is unbalanced. Lack of sleep, stress, and other factors play an important part in your overall health. Feeding your gut with good bacteria can be part of a plan to improve your overall health and wellness. If your digestive system isn’t working properly, neither are your other body systems. And eating on the run, or working while eating, usually means not chewing your food adequately. As you slow down and chew more, your body releases saliva , which not only starts the digestive process, but also signal your gallbladder and pancreas to release digestive enzymes which help break down your food and reduce symptoms of gastric distress such as heartburn or bloating. There’s an old saying that states, “You are what you eat.” There is definitely some truth to this saying. Processed foods and “fast foods”are filled with artificial sweeteners, gluten containing grains, and especially genetically modified ingredients that lack essential nutrients. If the food you’re eating upsets your bacterial balance and you have too much bad bacteria, it will harm your digestive system. An imbalance in the types of bacteria in your gut, such as a reduction of good bacteria or an overabundance of bad bacteria, can lead to inflammation, pancreatic stress, and even cancer. Additionally, eating a range of unhealthy, processed foods or having a diet that lacks variety can also lead to digestive stress. Filling your body with healthy, nutrient-rich foods gives life to your body. Eating plenty of wholesome foods allows the body to absorb nutrients and function properly. For example, grass fed and grass finished beef, lamb or bison or wild caught (not farm raised ) seafood are good protein sources. And “USDA Organic” fruits and vegetables that are NOT genetically modified will have more vitamins and not be mineral deficient as are GMO foods. Many people experience inflammation in the body. I’m not just talking about swelling in the legs or around an ankle. Rather I’m talking about inflammation on a cellular level. Stress and environmental factors can sometimes increase inflammation. The primary causes of cellular information are a diet filled with sugar, bad fats such as margarine or vegetable oils, and toxins. This cellular information can cause a variety of health issues such as fatigue, brain fog, and chronic pain. Most “fast foods” contain or are prepared in unhealthy, bad fats and oils. One way to try to uncover foods that are harmful is to begin eliminating certain groups from your diet. Gluten, dairy, soy, and processed foods are inflammatory foods. Try removing these from your diet and pay attention to how you feel and if the symptoms of gastric distress, such as bloating and heartburn are reduced. At the Gut Authority, we use highly specific scientific testing to test over 300 different foods and chemicals that can be causing inflammation and damage to your gut and which may be keeping you from healing. This is because you may have a delayed allergy reaction that can generate an inflammatory response any where from 3 days to 3 weeks after consuming these foods or being exposed to specific chemical irritants. Our motto is “we don’t guess…we TEST” . Many of our processed foods and beverages, such as “sugar free drinks” actually have artificial sweeteners and ingredients that are highly addictive So when you are eliminating food groups such as sugar or sugary drinks or grains, you may actually feel worse at first as your body transitions away from these addictive foods. Fiber is a great source of food for the good bacteria within your digestive system. It also keeps the “elimination function” of your digestive system “regular” and can help flush out toxins from the body. Foods that are high in fiber include broccoli, brussel sprouts, almonds, lentils, and bananas. Adding these and other fibrous foods to your diet keep you “regular” and can also help rid your body of toxins. But be sure to drink plenty of water to help the process along. If you’re already thinking about giving up gluten, choose produce that is full of natural carbohydrates and avoid processed foods that say they are gluten-free. These so-called “gluten-free” substitutes are almost always mixtures of other grains that are not wheat, rye, or barley, but which also contain gluten. Choosing leafy greens will feed the good bacteria within your gut. Food choices such as asparagus, carrots, radishes, peppers, mushroom, and spinach are excellent choices for most people. Sweet potatoes are also high in carbohydrates and can keep you feeling satisfied. Probiotics and fermented foods are essential for maintaining good digestive health. This source of live yeast and bacteria helps replenish the good bacteria that will heal your gut and promote good health. Research shows that probiotics not only help to restore the bacterial balance in your gut, but can also help reduce allergy symptoms and other gastrointestinal issues. But be careful taking the same probiotic for long periods of time, as this can create an over abundance of particular bacterial species at the expense of other “good ” bacteria. Foods such as yogurt and kefir contain a good amount of healthy bacteria. If you’re avoiding dairy products, you usually can still consume dairy-free yogurt, such as a coconut based yogurt, which still contains these important properties. Digestive health depends on diet and a healthy lifestyle. Spend time walking, hiking, or even doing yoga. Keeping the body moving is good for your all body systems. When you pair good food with exercise, your digestive health increases. There are many ways to keep improve your gut health. A healthy body first starts from the inside with natural food choices. Contact us today to learn more.